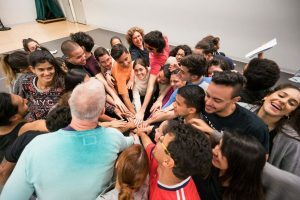 The 2018 program focused on “language”, “going beyond” and “embracing your tribe” through the challenge of the words of Shakespeare. 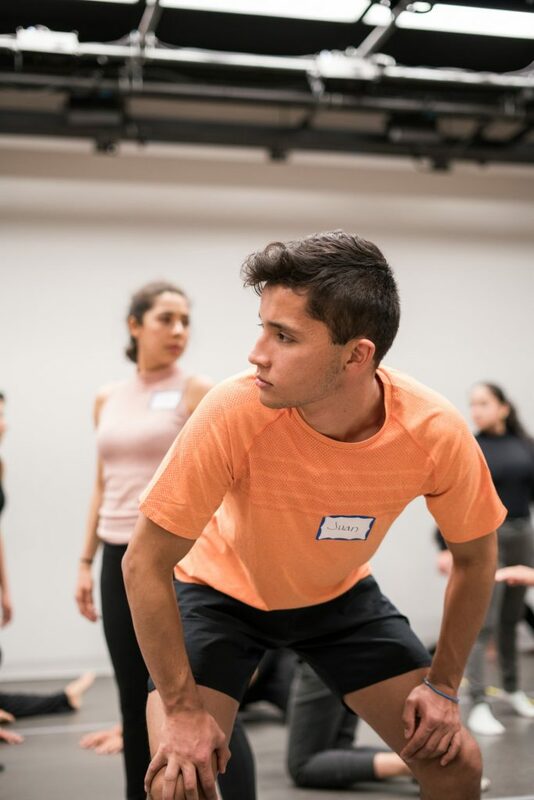 Participants not only moved beyond their fears and the realities of society as artists and/or immigrants, but also shared their truth, their humanity, and their own artistic voice while becoming a powerful ensemble. 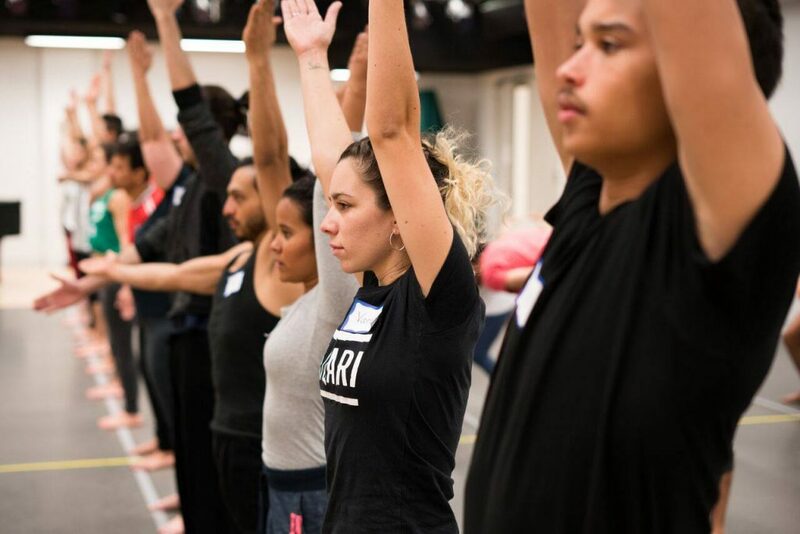 We believe that opportunities like this creates a community that goes beyond the studio, the class and is enhanced by the work that we do together. 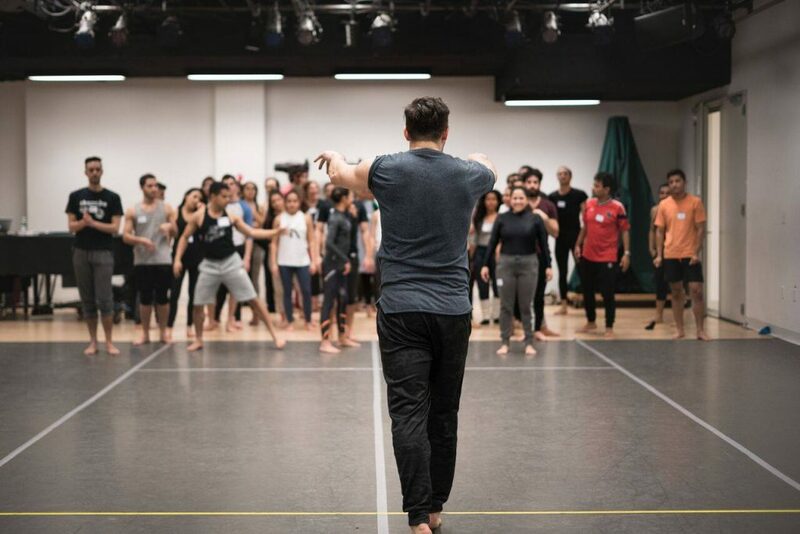 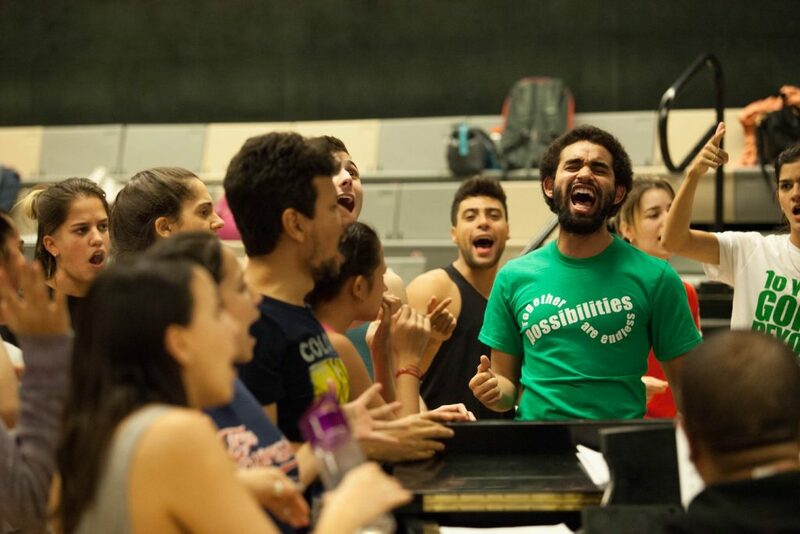 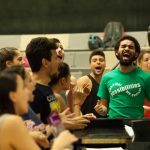 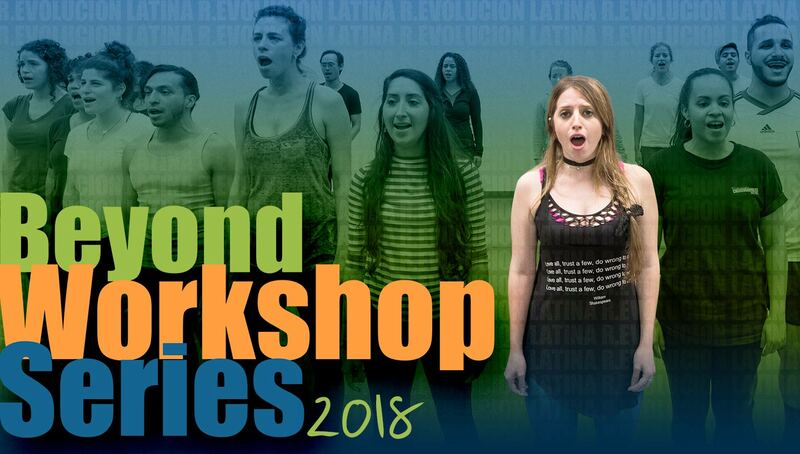 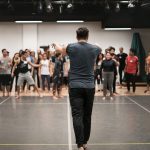 This year 17 international scholarships were awarded and participants traveled from Colombia, Argentina, Mexico and Chile to be part of the BWS with 19 NYC based participants who auditioned earlier in the year. 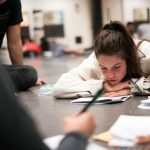 What was different in this year’s program? 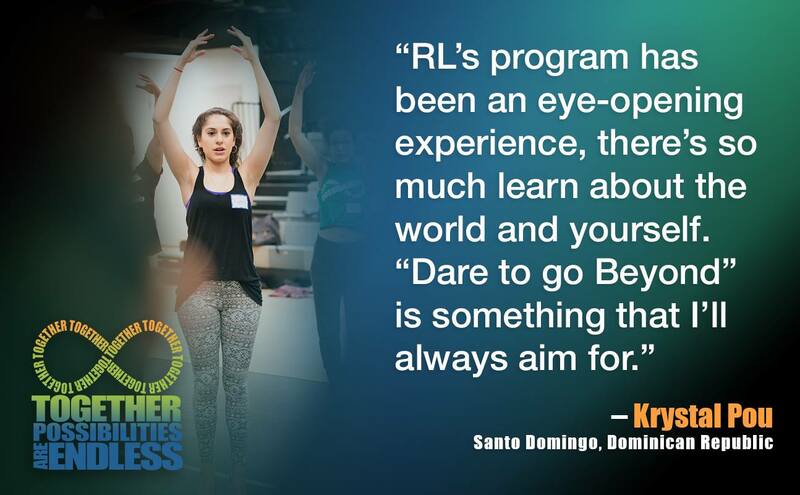 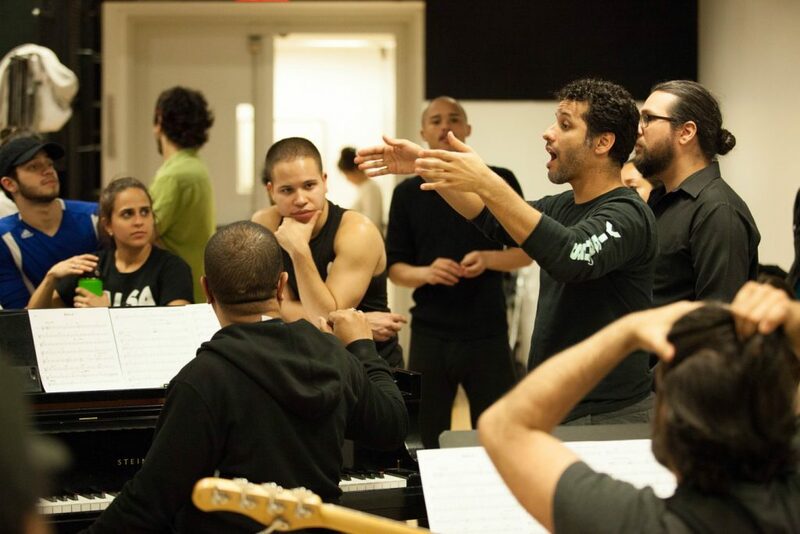 For this year of “Language” we partnered with Pregones/PRTT’s Raul Julia Training Unit. 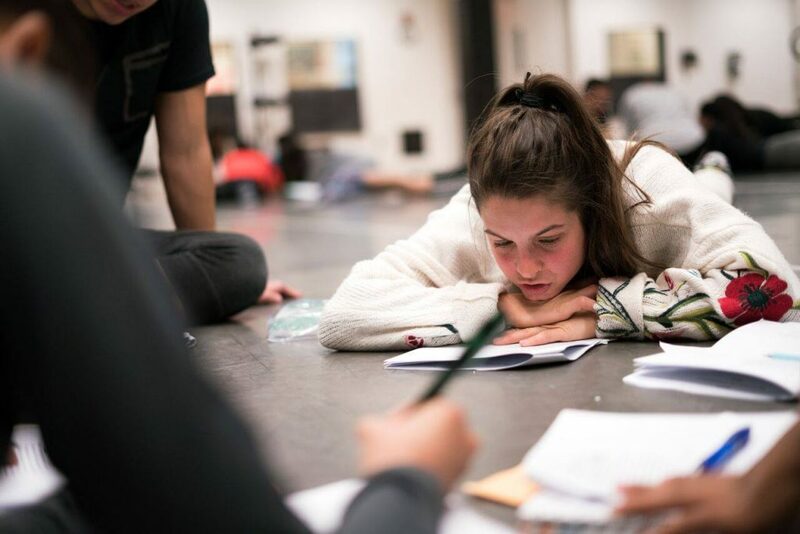 Students thrived with one another in the room while taking on the collective challenge of Shakespeare’s sonnets, histories, tragedies and comedies. 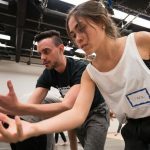 Using the tools that were taught by the faculty classes became a petri dish for the devised performance piece To Be Or Not To Be, A Shakespearean Experience. 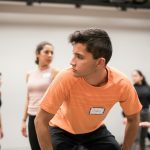 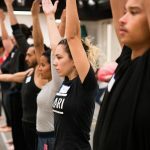 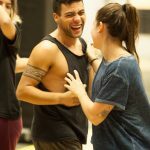 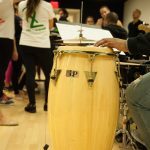 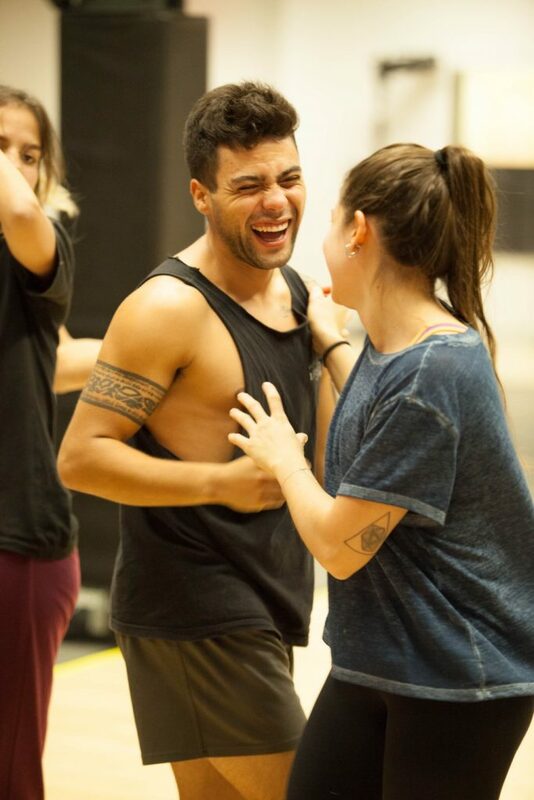 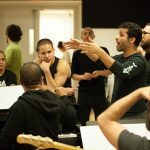 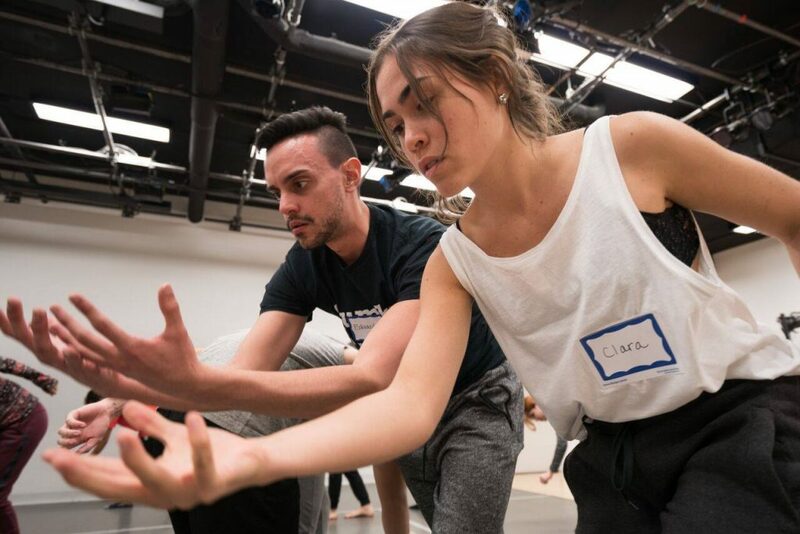 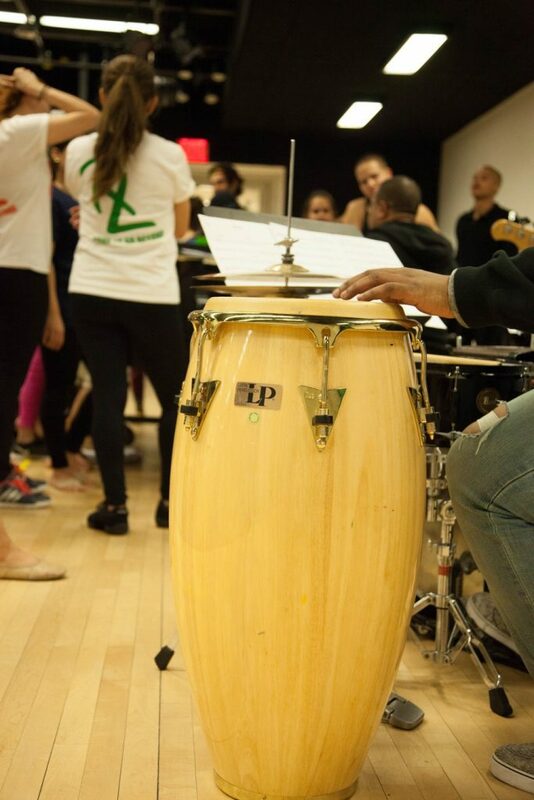 For 1 week in April, this international tribe of 36 performers shared what they created under the direction of Luis Salgado for six presentations at the Harlem School For the Arts. 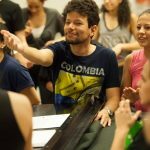 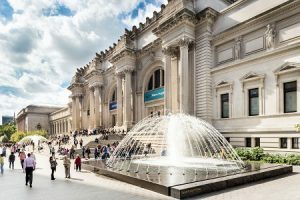 Sign up below to receive our newsletter and we will keep you informed about our art programs and events. Gabriela Garcia, Daniel Fetecua-Soto, Matthew Steffens, Valeria Cossu, Ian Hersey, Leon Insgurld, Jaime Lozano and Luis Salgado. 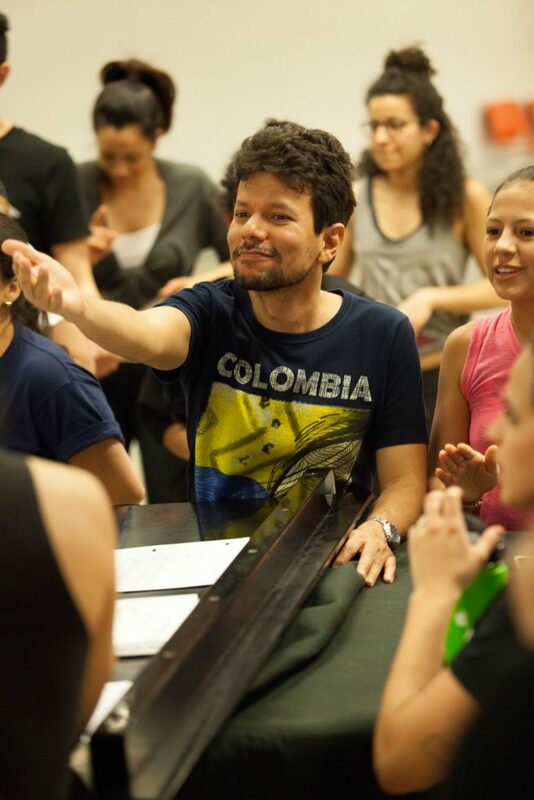 Desmar Guevara from the Raul Julia Training Unit.